Allan Houser, who created many, many things people had never seen before, was born Allan Capron Haozous on June 30, 1914. Ha-oz-ous, in the Apache language, describes the sound, the sensation of pulling a plant from the earth and the point at which the earth gives way. That is haozous. Capron came from Captain Allyn K. Capron of the U.S. 7th Cavalry (the first Army officer to die in the Spanish-American War of 1898), Fort Sill, Oklahoma Territory. 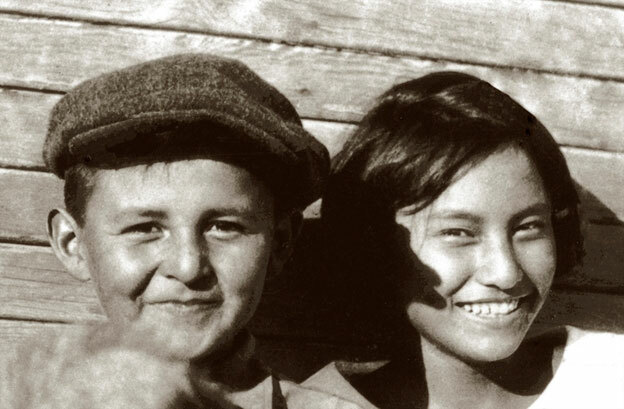 Houser’s parents, Sam and Blossom Haozous, belonged to the Chiricahua Apache tribe—hunter-gatherers who roamed from northern Mexico to New Mexico. Sam’s father was first cousin to the legendary Apache leader Geronimo, and a member of the Warm Springs Apaches (who had roots in Hot Springs, New Mexico, about 60 miles north of what is now Truth or Consequences). In 1886, after years of resistance and exile, Geronimo surrendered to the U.S. Army in Chihuahua, Mexico, and as punishment, he and about 1,200 of his followers were imprisoned and sent by train—most in cattle cars—to prisons in Florida, Alabama, and Oklahoma. An inquisitive child who loved being outdoors, who loved drawing, Houser also went on to become a Golden Gloves boxing champion. 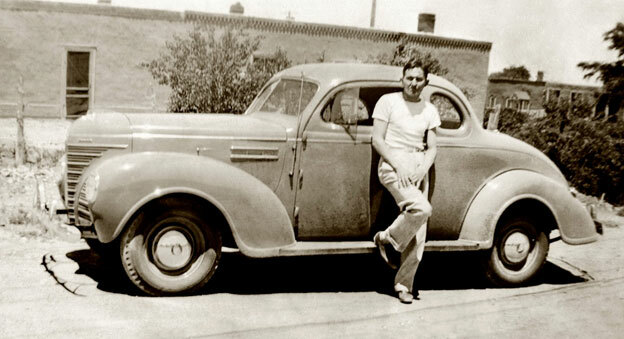 Then in 1934 he saw a notice at the Indian Office in Anadarko, Oklahoma, inviting applicants to join the Painting School at the Santa Fe Indian School. This was the so-called Studio School established by Dorothy Dunn. Much to his father’s chagrin, Houser applied. And got in. A student at the Indian School from 1934-38, Houser nevertheless considered Dunn’s teachings restrictive and unimaginative. This was also where he changed his name (having been “suggested” to do so by school administrators) from Haozous to Houser. Still, he flourished. In 1937, he had his first solo exhibition (19 watercolor paintings) at the Museum of New Mexico. And within two years of graduating from the Indian School, he’d already shown his work at the Art Institute of Chicago, the Golden Gate International Exposition, and the New York World’s Fair. 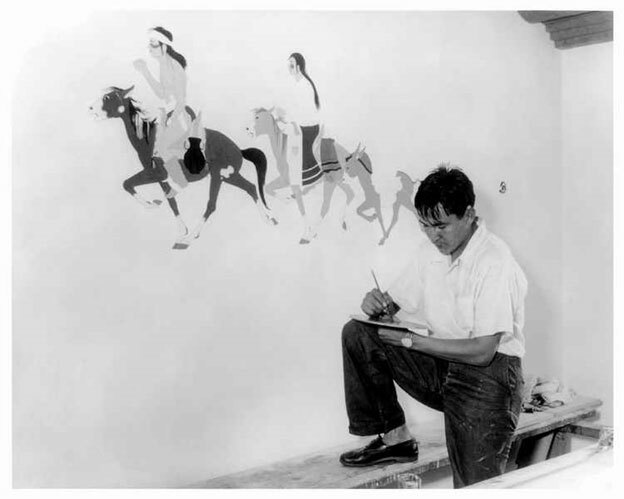 He’d also been commissioned to paint full-size murals in the Department of the Interior’s Washington, D.C. headquarters before returning briefly to Fort Sill to study with the Swedish muralist Olle Nordmark, who encouraged Houser to take up sculpting. Which he did, making some wood carvings later that year. He also got married, in 1939, to Anna Marie Gallegos. Despite the many commissions and shows, work was scarce. 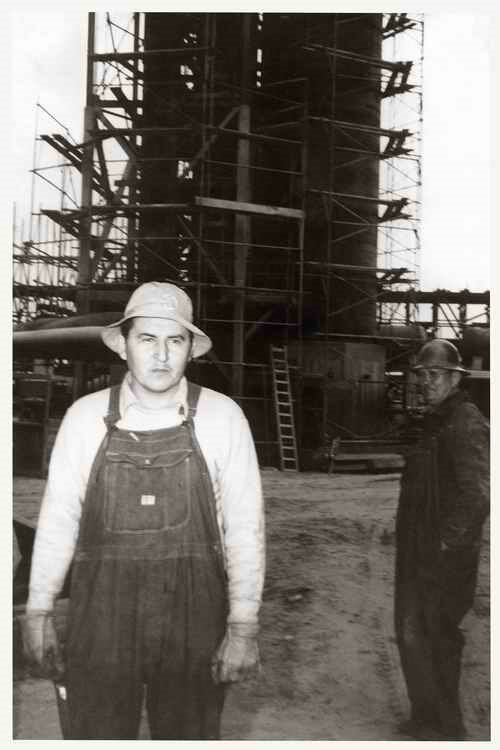 So scarce that to support his family (he and Anna Marie had three sons by 1941—two more would come later), Houser relocated to Los Angeles in 1942, where he worked as a pipefitter’s assistant till 1947. Ever curious and indefatigably devoted to art, though, he not only continued to work on his art in the evenings, this is also when he befriended students and faculty at the Pasadena Art Center and laid the foundation for what would become his own take on modernist sculpture—based in part on what he absorbed from fellow modernist sculptors such as Jean Arp, Constantin Brâncuși, Henry Moore, Isamu Noguchi, and Barbara Hepworth. 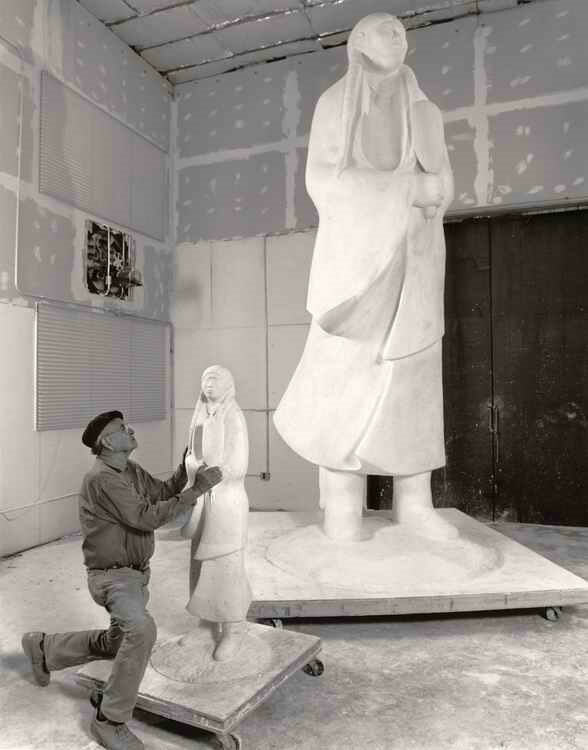 In 1948, Lawrence, Kansas’ Haskell Institute awarded him a commission that essentially launched his sculpting career. Comrade in Mourning, the white carrara marble memorial he created, remains one of his most iconic works. A year later, he received a Guggenheim Fellowship. When the money from that ran out, he accepted a teaching position as artist-in-residence at Brigham, Utah’s Inter-Mountain School. Renowned, too, as a teacher, Houser jumped at the chance to join the faculty of the newly created Institute of American Indian Arts in Santa Fe. 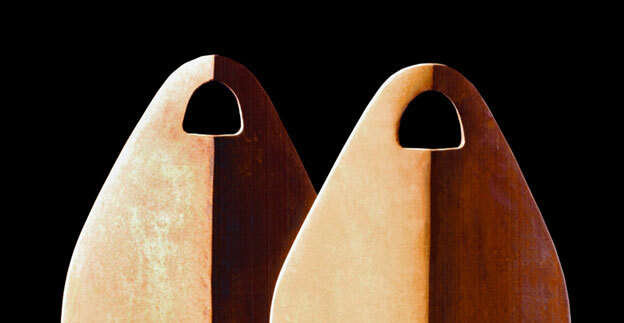 There, he set up the sculpture department and honed his status as one of America’s foremost modernist sculptors. Quietly, from within the studios at IAIA and later in the ones he’d had built for himself in what is now the Allan Houser Sculpture Garden just north of Santa Fe, Houser chipped away at people’s and critics’ conceptions of what sculpture could and should be, transforming, too, Native American art from the parochial to the monumental. By 1975, at 61, he decided to retire from teaching altogether and focus exclusively on his art. Though not always art. He sometimes played country and Western songs, or the blues, on the guitar. 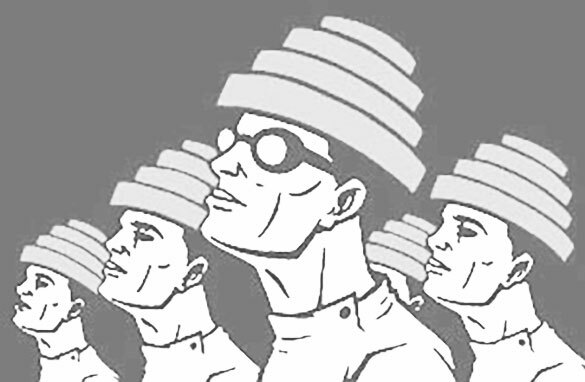 And he liked New Wave music—especially Devo. This post-retirement period was probably his most prolific, as it allowed him time to explore and innovate. This was when he dedicated pieces to the United Nations, the National Portrait Gallery, and the Smithsonian Institution, and in 1992 he became the first Native American awarded the National Medal of Arts. And he would sketch anytime, anyplace. His wife, Anna Marie, now 104 years old, recalls a time when they were driving down the road—the two of them plus their five boys—and the inspiration came upon her husband. Allan said to his wife, “Take the wheel,” took out his sketchbook, and started drawing.